By the time of his death in 2006, Sir Peter Strawson was regarded as one of the world's most distinguished philosophers. 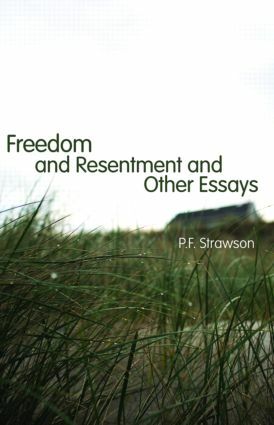 First published thirty years ago but long since unavailable, Freedom and Resentment collects some of Strawson's most important work and is an ideal introduction to his thinking on such topics as the philosophy of language, metaphysics, epistemology and aesthetics. Beginning with the title essay Freedom and Resentment, this invaluable collection is testament to the astonishing range of Strawson's thought as he discusses free will, ethics and morality, logic, the mind-body problem and aesthetics. The book is perhaps best-known for its three interrelated chapters on perception and the imagination, subjects now at the very forefront of philosophical research. This reissue includes a substantial new foreword by Paul Snowdon and a fascinating intellectual autobiography by Strawson. IS EXISTENCE NEVER A PREDICATE?